Using cannabis to treat anxiety is one of the most effective ways of doing so, especially when considering the other options – pharmaceuticals and opioids, which are both extremely unhealthy and bad on your liver. For some, a small puff of cannabis provides unrivaled relief of worry, panic, stress, and other anxiety-related symptoms. Unfortunately others experience heightened paranoia and exacerbated anxiety with marijuana. This common reaction can be attributed to a strain’s THC content, but what many people don’t realize is there are many strains now that have little to no THC. These low-THC, high-CBD strains are changing the game for anxiety sufferers, but that doesn’t mean there aren’t strains rich in THC that can’t also help. 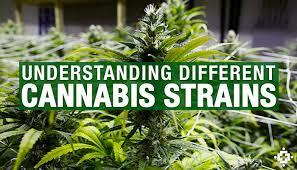 Many people prefer indicas over sativas because they relax the mind rather than supercharge it. For this reason we recommend Granddaddy Purple, which eases you into a peaceful mindset while urging your body to release all that stress and tension. A high-THC sativa typically wouldn’t be our first recommendation for anxiety; they tend to have racy cerebral effects that tug at anxiety rather than help it. But Jack Herer is different in that its euphoria tapers in gently with calming effects that could possibly be explained by Jack’s relaxing parent, Northern Lights. For the THC-sensitive, we recommend the high-CBD hybrid Cannatonic. This strain typically has a CBD profile that sizes up to its THC content in a 1:1 ratio, which helps blunt the anxious edge that a lot of anxiety-sufferers experience with cannabis. Cannatonic tends to also boast high levels of the terpene myrcene, which contributes to this strain’s deeply relaxing attributes. GSC (f.k.a Girl Scout Cookies) has numerous Cannabis Cup awards to back up its reputation for containing staggering amounts of THC. While this may seem like a panic attack waiting to happen, studies have shown that people with PTSD often have a deficiency of a naturally occurring THC-like compound called anandamide, which plays a role in memory. When we consider the fact that THC can replenish these compounds for therapeutic benefit, it’s easy to see why so many PTSD patients sing GSC’s praises. Not everyone wants to get stoned every time their PTSD symptoms flare up. Luckily, there are high-CBD strains like Canna-Tsu to help you keep a clear head while you medicate. Canna-Tsu still has some THC, but it’s counterbalanced by CBD for a relaxing, functional effect. Social anxiety is tricky: you want a strain that keeps you alert and social, but nothing so stimulating that your mind races as you exude awkwardness. Strawberry Cough may be a sativa, but it manages to walk the fine line between energizing and calming, making it easy to converse without feeling overly paranoid. For more severe cases of social anxiety, a high-CBD strain might be better suited for you. ACDC’s cannabinoid profile can vary, but it typically contains about 20 times more CBD than THC so its psychoactive effects are minimal. This makes it easy to stay relaxed, clear-headed, and focused in what would normally be an uncomfortable social situation. The link between OCD and cannabis is not well understood, but based on user ratings and reviews it would seem that there are a few strains out there that help settle nervous fixations. A tranquilizing indica like Northern Lights helps slow the mind and body down, bringing them into a relaxed state where the organization of your Tupperware drawer doesn’t matter quite so much.